Product code: ES3528 Categories: Sold Items, Sold Jewellery. Here is a very sweet and charming antique bangle from the early 1900’s made all the more beautiful by the heart design. 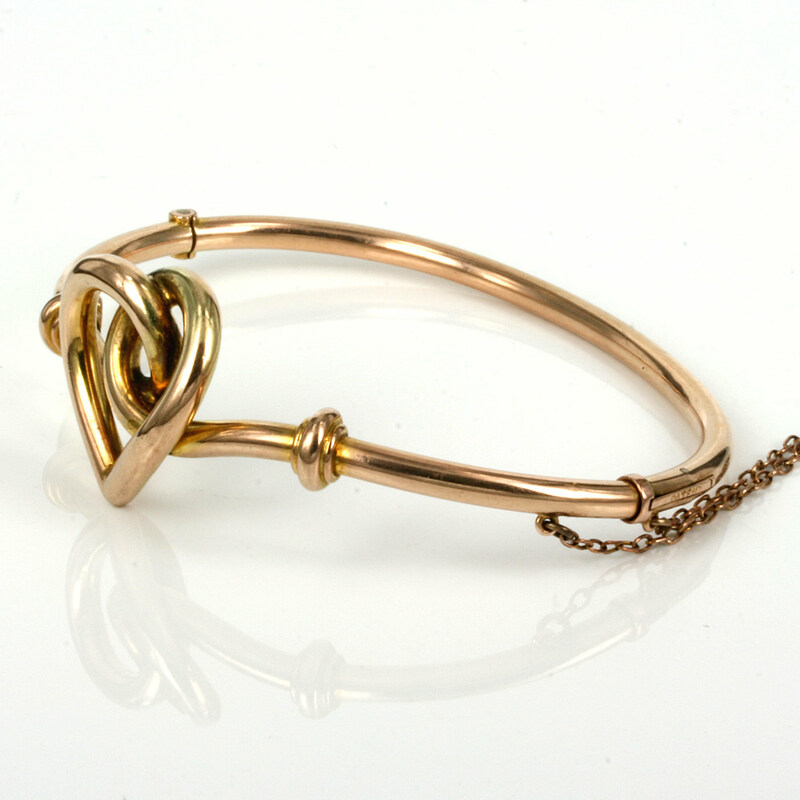 Made in 9ct gold this hinged bangle sits so well on the wrist and at each end is a bar design and from one side across to the other this distance measures 43mm and the heart design itself measures 22.1mm wide. Fitted with a safety chain for added security, this is such a charming and very elegant antique bangle from the Edwardian period that looks so lovely day or night.